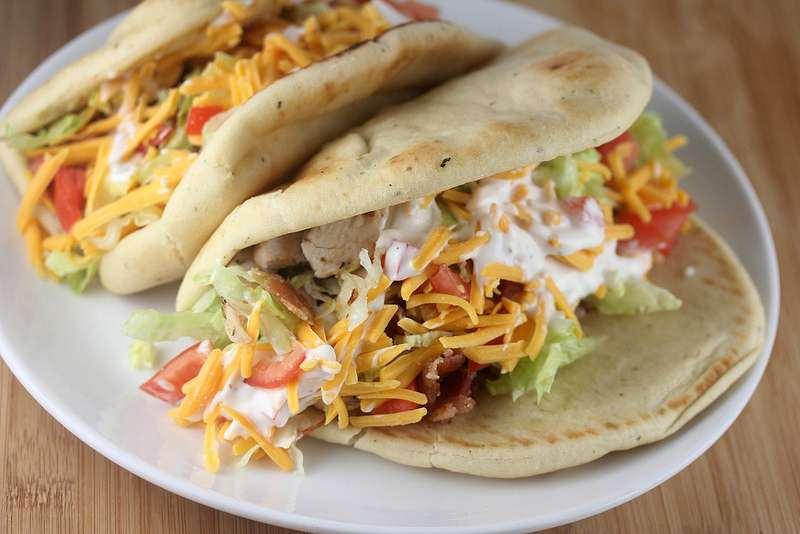 Chicken bacon ranch is a classic combination and our family really enjoys various forms of sandwiches prepared on naan flatbreads. Naan flatbread is soft and forms a slight crust when baked, which makes it perfect as an alternative for sandwiches. This recipe is easy to prepare and comes together very quickly after the initial baking is completed. From Cully’s Kitchen to yours! Preheat oven to 350 degrees F. Mix oregano, pepper, salt, onion powder, and garlic powder together in a small bowl. Sprinkle onto uncooked chicken breasts and place onto greased baking sheet. Bake chicken until cooked (approximately 25-30 minutes). Cook bacon either in microwave, stovetop, or baked in oven. Cut chicken into pieces that are about 1-3 inches long and relatively thin and place into medium mixing bowl. Dice bacon into small pieces and mix into the chicken. Sprinkle naan flatbread with water and place onto a lightly greased baking sheet. Bake according to directions—generally about 5 minutes at 350 degrees F, until lightly browned. 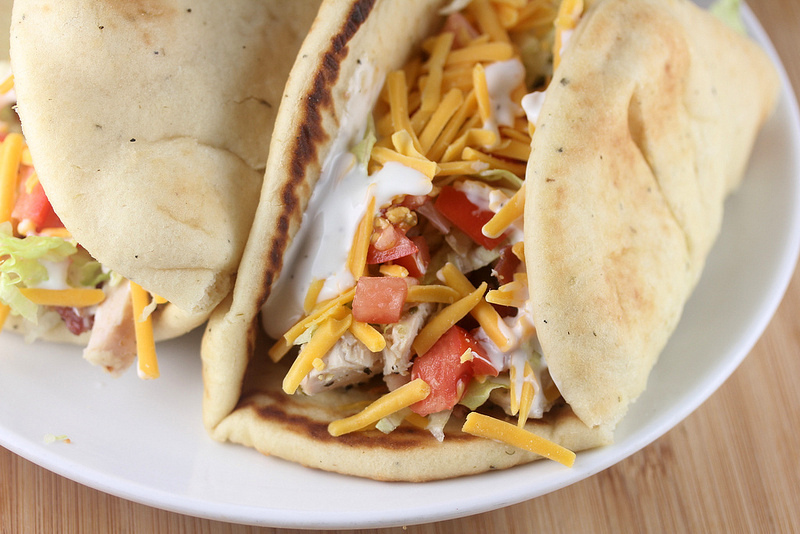 Top flatbreads with chicken and bacon mix, lettuce, tomato, preferred amount of ranch, and shredded cheese. 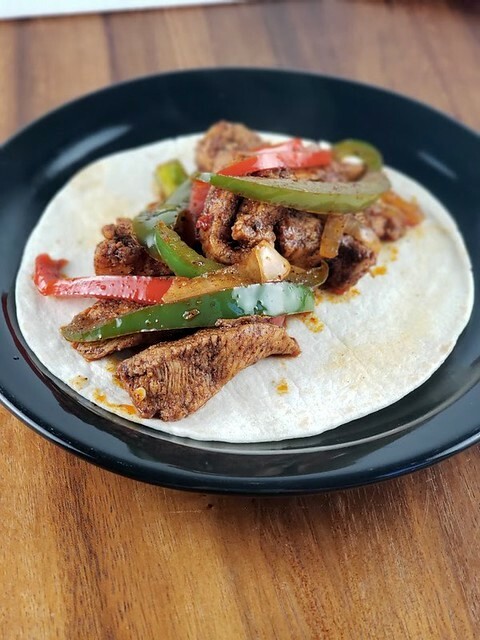 Serve and eat folded in half like a taco.